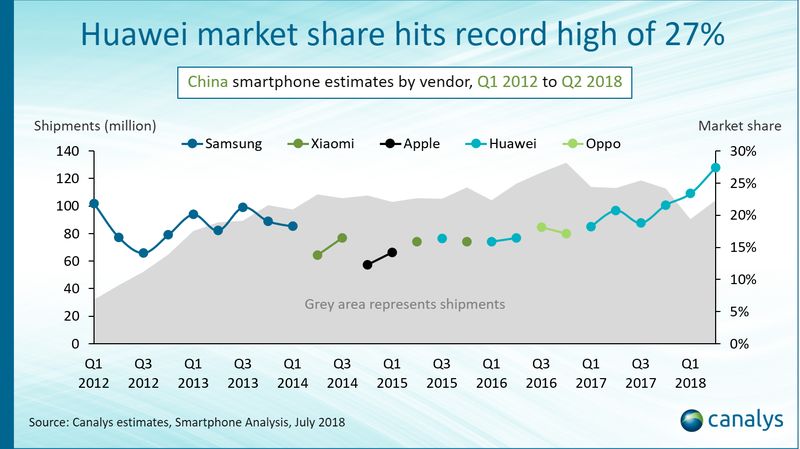 Palo Alto, Shanghai, Singapore and Reading (UK) – Wednesday, 25 July 2018: Smartphone shipments in China bounced back to above 100 million in Q2 2018, providing much needed relief to vendors and channel partners after a difficult Q1, when shipments fell by more than 20% to 91 million units. 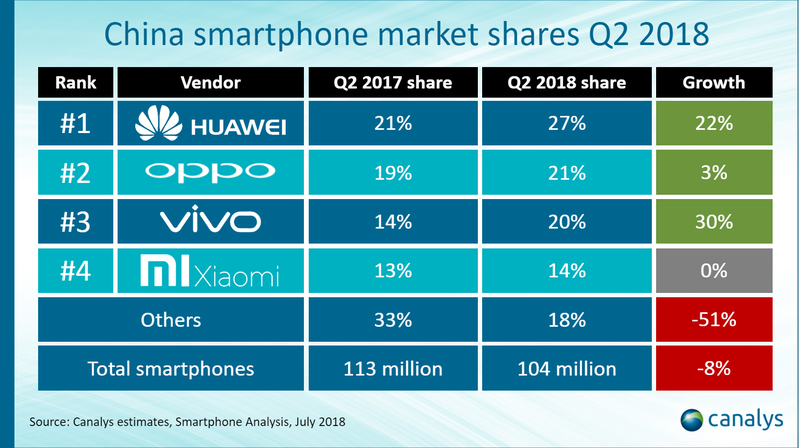 Huawei (including Honor) grew its market share to a record 27%, the biggest share for any smartphone vendor in China since Q2 2011. Huawei also broke the record for the greatest number of shipments into the channel by any vendor, at 28.5 million units. Oppo and Vivo came second and third respectively, with the latter growing by 30% to close the gap on Oppo. Xiaomi’s and Apple’s market shares fell, but they held onto their respective fourth and fifth places. The smaller vendors are finding it tough to compete, as the top five vendors now account for 90% of shipments, against 73% a year ago.